It's not right how people treat dogs now a days. Yell at them, beat them, keep em in a cage. I can see it in their eyes. I can feel their rage. How would you like to be yelled at, Beat, Keep in a cage. When I see a dog that has been beaten, I wanna beat up the person that did it. It makes me sad, I cry inside. OK I'll admit it cuz I'm a man and a man knows real pain just like that dog that has been beaten with belts and chains. I know some times dogs don't do what you want them to do but think about didn't you have to learn 2. But at the end of the day. Dogs are sweeter than chocolate dove. At the end of the day dogs need love. Creating safe and humane communities by inspiring positive relationships between people and animals. 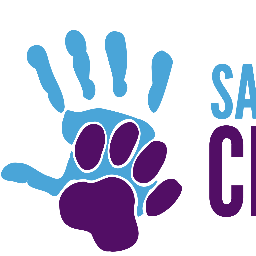 Safe Humane is a 501(c)(3) nonprofit organization registered in Illinois with federal tax ID 36-4366285. Donations are tax-deductible as allowed by law.